Union City, New Jersey. September 23. 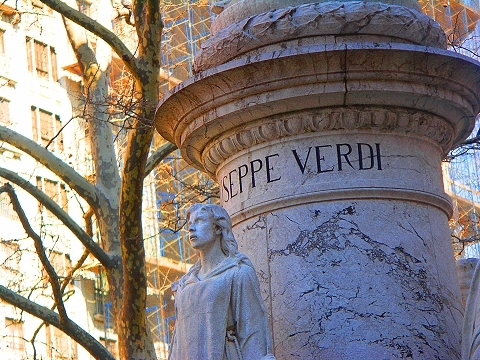 On Sunday, October 6 at 12:30 p.m. at Verdi Square in Manhattan, Inter-Cities Performing Arts, Inc. will celebrate the 200th anniversary of the birth of Giuseppe Verdi, the renowned Italian composer and statesman. Joining the New York/New Jersey-based arts organization and its founders, Leonard and Carmela Altamura, dignitaries from the Italian and Italian American community will participate in the brief commemoration ceremony, procession down Broadway and concert at Christ and St. Stephen’s church in Manhattan. Following the ceremony at Verdi Square, the public will be asked to join in singing the famous “Va, pensiero” chorus from Verdi’s opera, Nabucco, accompanied by trumpeters, as members of the New Rochelle (NY) Opera and its director, Camille Coppola, the Colombians of New Jersey, Ieri Oggi Domani, Societa’ Unita, dignitaries and concert performers process down Broadway to the church. “In recreating Verdi’s 1901 funeral procession, an event of great import in Italy, we pay homage to the composer who changed not only the direction of opera but of politics, leading to the formation of the Italian nation,” Ms. Altamura said. The procession will enter the church to the triumphal march from Aida while students from La Scuola d’Italia Guglielmo Marconi lay wreaths honoring Verdi and opera philanthropist, Agnes Varis. Following this, Russian American violinist, Leonid Sushansky, will perform the well-known excerpt for solo violin from Verdi’s I Lombardi. Polish Canadian soprano, Maria Knapik, will sing “Pace, pace, mio Dio” from Verdi’s La forza del destino,” followed by a four-hand, one piano arrangement of “La donna e’ mobile” from Rigoletto, performed by Italian pianist, Lorenzo de Bella, and American pianist, Cristina Altamura. Bringing the program to a close, American lyric soprano, Anne Tormela, will perform “Ah, fors’e lui… Sempre libera” from La Traviata. Pianists Cristina Altamura, Lorenzo Di Bella, Michael Finnelly and Renee Guerrero will accompany the violinist and singers. Ms. Altamura concluded, “With this commemoration and concert, we want to recognize Giuseppe Verdi’s remarkable contributions to opera, along with his role as a dramatist, visionary, statesman and philanthropist,” she said. Inter-Cities Performing Arts, Inc. a New York/New Jersey-based nonprofit, was founded for the purpose of furthering ethnic, social, professional and cultural relations. 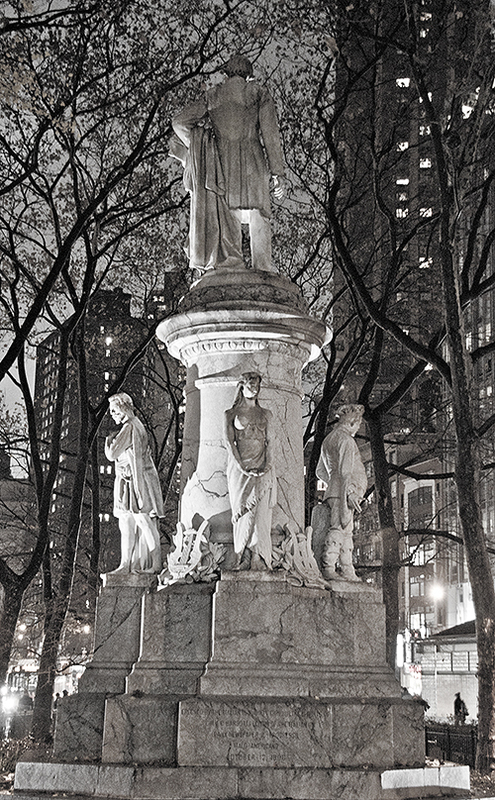 12:30 pm, Verdi Square, W. 72nd Street between Broadway and Amsterdam, commemorative ceremony, followed by procession. 2:00 p.m, Christ and St. Stephen’s Church, 120 W. 69th Street, commemorative concert.